At the Federated Schools of Shalfleet & Yarmouth Primary, we provide the children with a broad and balanced curriculum. We take into account the locality in which we live – ensuring that the curriculum is enriched through the environment. We take part in Forest Schools, to particularly benefit our Pupil Premium children and the children who have joined us from other schools. We firmly believe that developing the characteristics for good learning should underpin academic progress. We also use the copse and the local community centre to connect with locals. Some of the younger children also perform songs to members of the older generation. 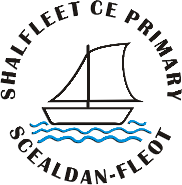 The Federated Schools of Shalfleet & Yarmouth are both very much the centre of each local community. They have strong links to Yarmouth town through the Pancake Races, Firework night, Carols in the Square and the Gaffer’s Festival. We are supported by strong PTFA’s who are very proactive and organise inspiring fundraising ideas and events with the local community. We are very aware that through living on an island the children could become isolated and not have a broad understanding of the wider world. Therefore, we arrange many experiences for the children to visit the mainland – this means that the children will have left the Island at least 7 times before they leave Primary School. We also organise many Federated events, including a residential where the children integrate with their friends from our Federated schools, developing in confidence and resilience. In terms of the Curriculum we make sure that we take the interests of the children into account and each year group plans a topic focussing on class interests. This has proven to be popular and instrumental in ensuring the children engage with their learning. We also ensure that our teachers have taught a topic which is inspiring for them. We believe that through teaching something you are passionate about inspires passion in others and thirst for learning. We also fulfill the demands of the new curriculum. Our curriculum topics are varied, they include many home tasks and provide opportunities for independent learning. The topics are underpinned by the school Christian Values of Respect, Relationships and Determination which run as a thread through everything that we do. We have developed ‘Inspire Days’, these are days where we provide the children with some out of the box learning experiences. Inspire Days along with other specific events enable us to invite parents, governors and the local community into the school to share the learning and support the children to progress. Our curriculum is enriched through the support that the ELSA is able to provide to the children. We have seen many children increase in their confidence and their abilities through this intervention (as evidenced through the ELSA impact sheets). We also have a very effective Therapeutic Play Practitioner, who has been instrumental in changing mindsets and supporting the children with additional needs. The schools celebrate its student voice through the Junior Leadership Team and the Learning Leaders. We also have Anti-Bullying Ambassadors. The children have worked very hard to create their own SEF and FDP. We hope that this information has provided you with an insight into how we strive to inspire and enrich the children’s learning within our Federated schools. The children develop through engaging in teacher planned activities, but also those which they initiate themselves. Through play based activities, children enjoy and gain confidence in basic skills of Literacy and Numeracy. They develop interest in the world around them, are happy to experiment in creative skills and increase development and control of their movement. In all areas children are encouraged way to view themselves and others positively, learning to express their emotions and ideas to become confident to try new activities. We aim to work with each child’s individual interests and to provide opportunities to learn from a wide range of experiences. Assessment within Foundation Stage will now include a baseline assessment during the first half term of the year. This is simply a check on how well children are settling in to school and will consist of observations of the child at play, not a formal test. Children will be unaware of the process, and there is no pass or fail, it is simply an observation of the child’s skills to date. At the end of the Foundation Stage (Reception Year), children are assessed again against the set of 7 key areas of learning and development. These cover not only numeracy and literacy but also include personal, social and emotional development, physical skills, communication and language. For each goal, we will report whether your child is meeting expectations, exceeding them or they’re still working towards the skill concerned, this is called ‘emerging’. • Helps prepare every child with the skills needed for a lifetime of learning. We are flexible in our structure of classes to ensure that the work given to the children is always at the appropriate level for each of them. We teach many of the subjects through a creative programme of challenging topics. We follow the Isle of Wight syllabus for Religious Education and all the children take part in a planned programme of Personal, Health and Social Education. This way of working encourages ownership and develops children’s independence. It is an exciting and challenging way of learning and one that all our children (and teachers) enjoy. Some aspects of the curriculum are taught discretely. These include mathematics, the ‘basics’ of literacy [spelling, phonics, handwriting] and subject areas such as PE. Other curriculum areas such as ICT, French and music have elements of subject area that are taught discretely but are also incorporated into topic led areas of learning.